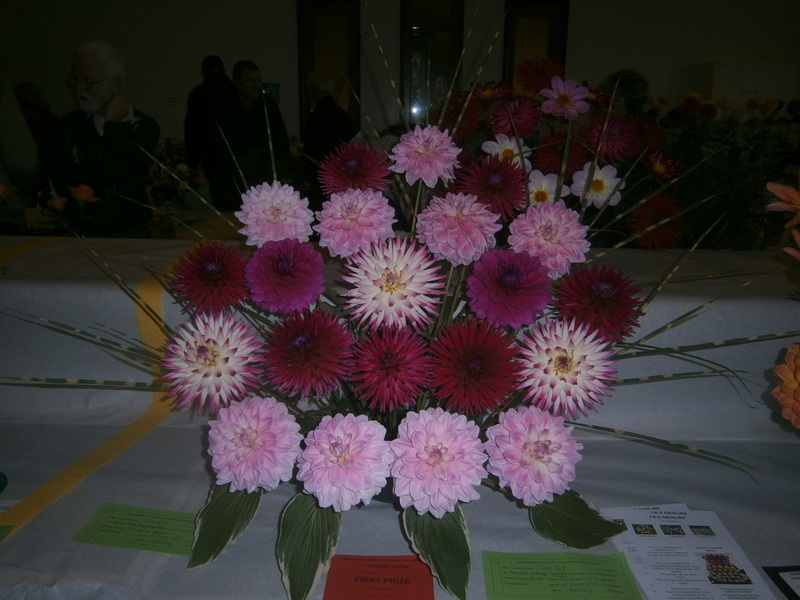 The Milnthorpe flower show was held on Saturday 7th September at St Thomas's Church. 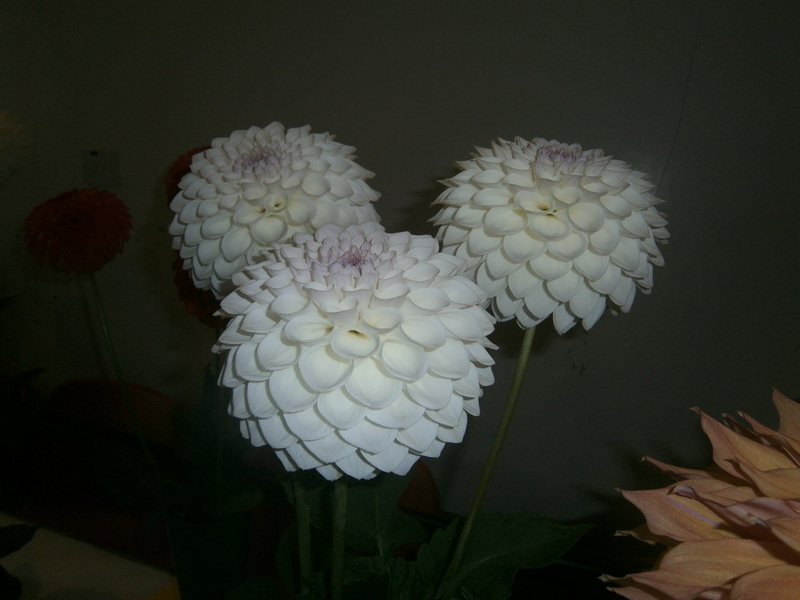 North West Dahlia Society members including Jack and Bill Gott, Dave Woodhouse and James Park showed at the event. 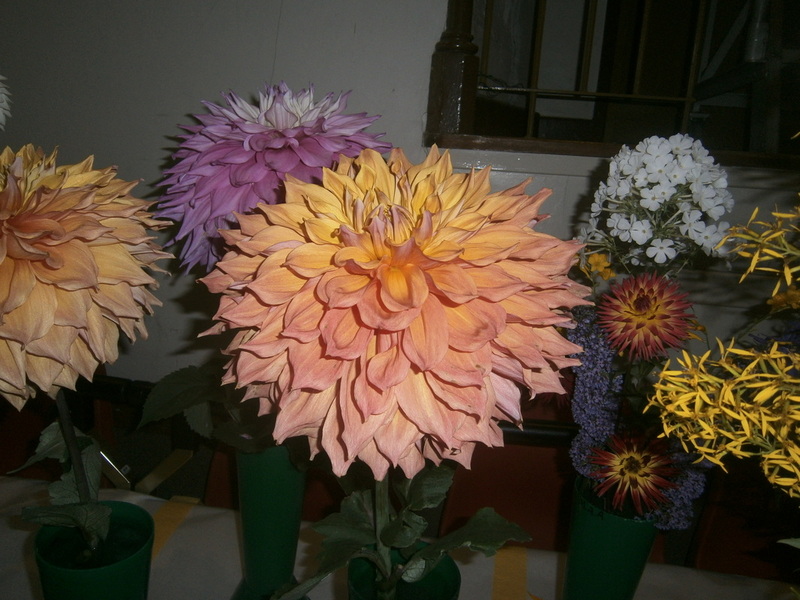 Jack came away with both the silver and bronze medals, with the silver being won for a beautiful bowl of mixed dahlias and the bronze went to a vase of his own Barbara's Pastelle. Jack's silver medal entry also won the blue ribbon for the best horticultural exhibit in the show. Other entries of note were a lovely vase of Ryecroft Brenda T and a good bloom of the giant decorative John Hill. 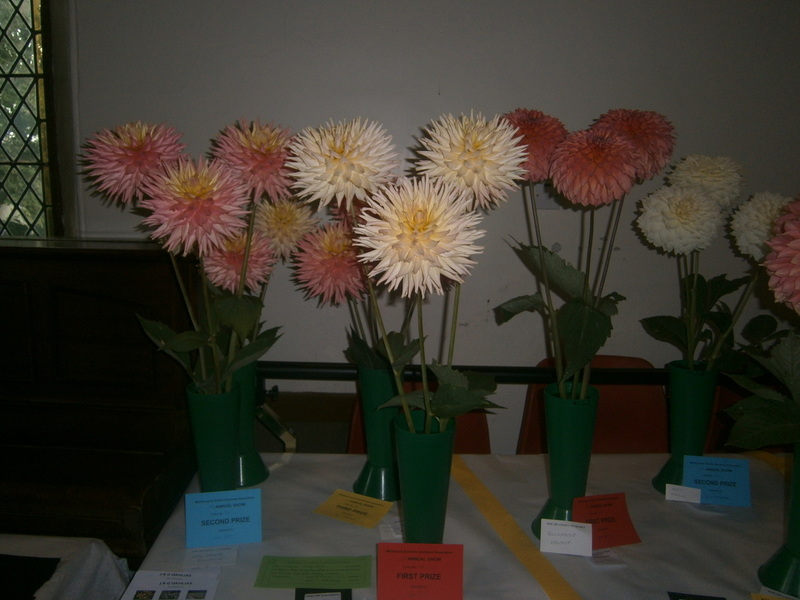 Refreshments were available at the show, while a raffle was also held - with the cups and medals presented from 3.30pm. The produce was auctioned off after the show from 4.15pm and a pumpkin competition will be held at the Cross Keys Hotel in Milnthorpe on Monday 14th October at 7.30pm.